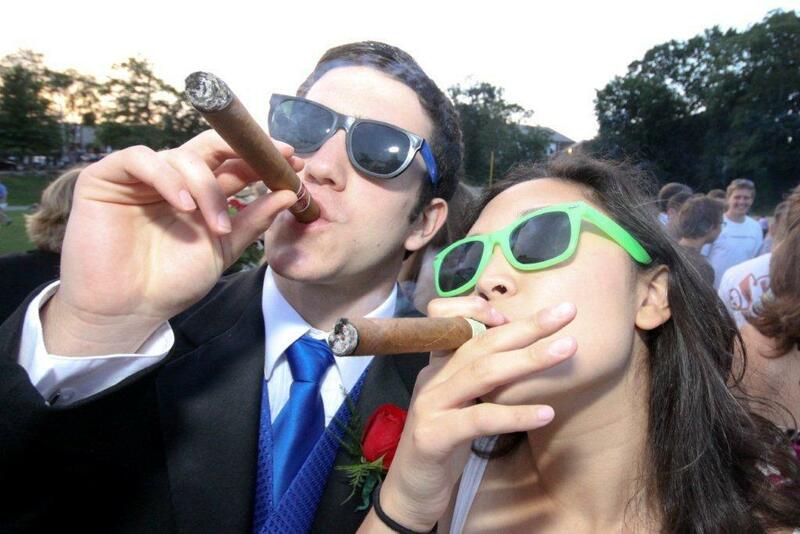 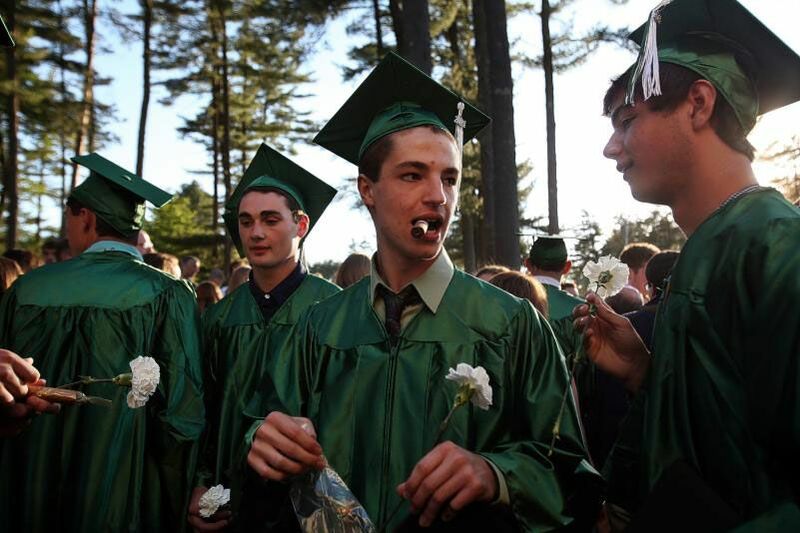 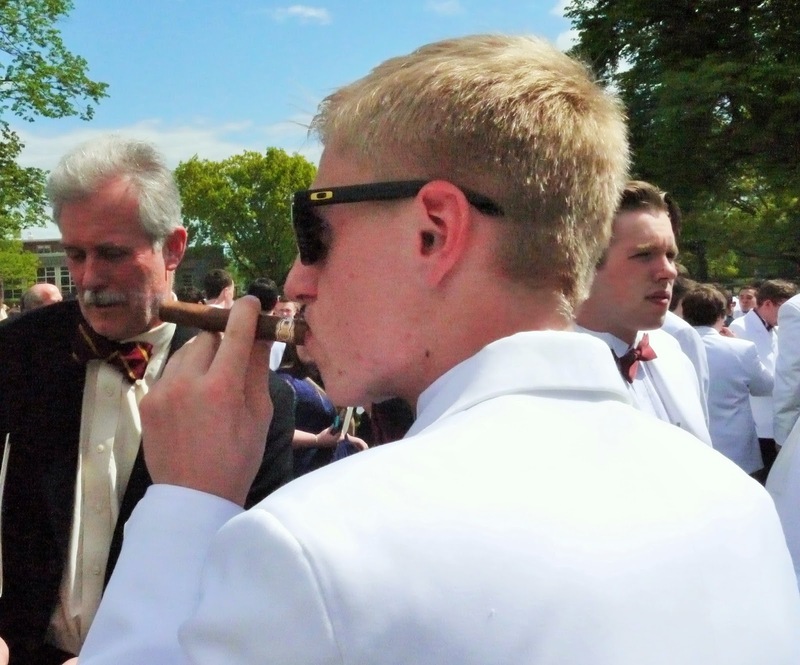 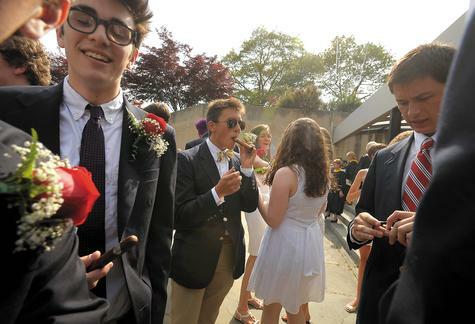 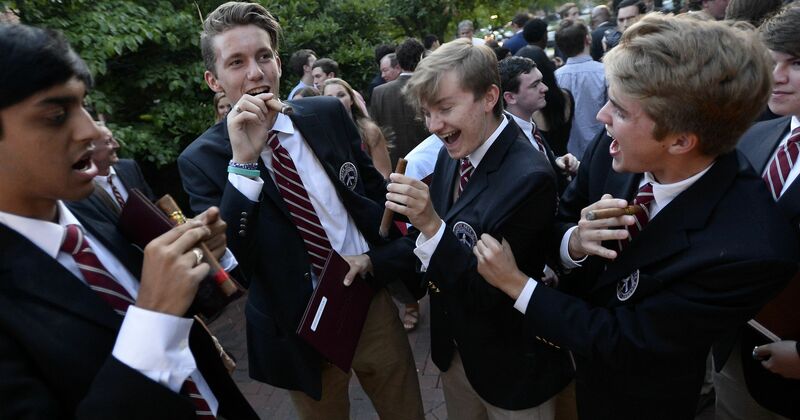 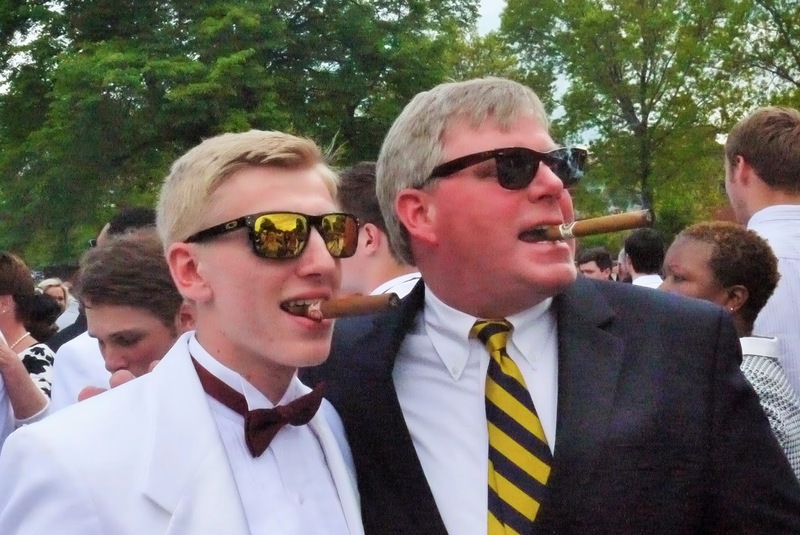 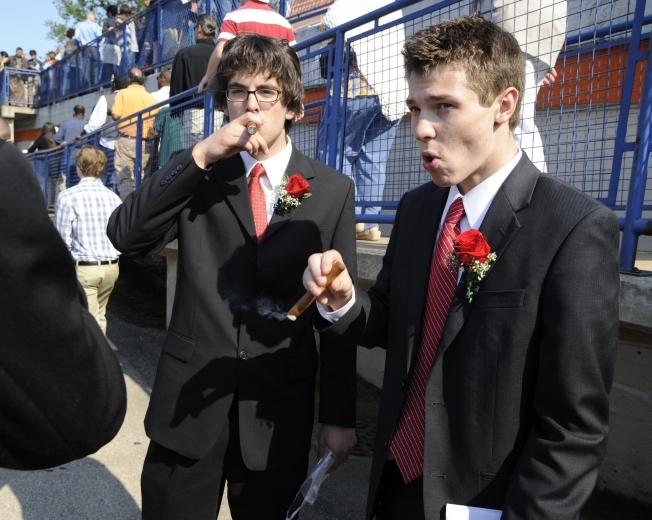 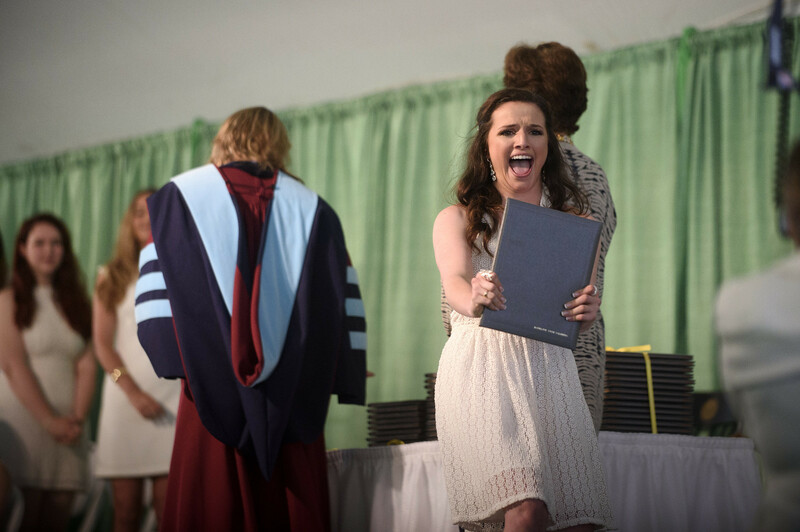 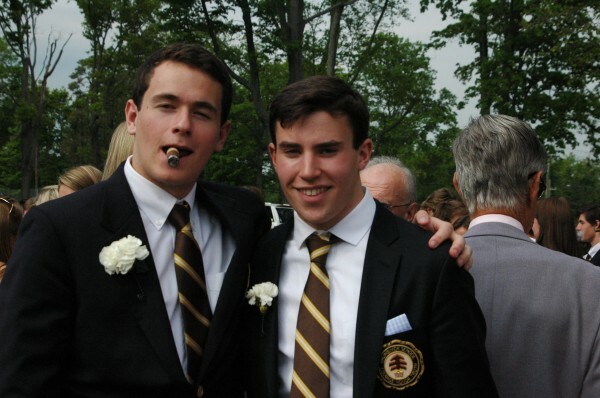 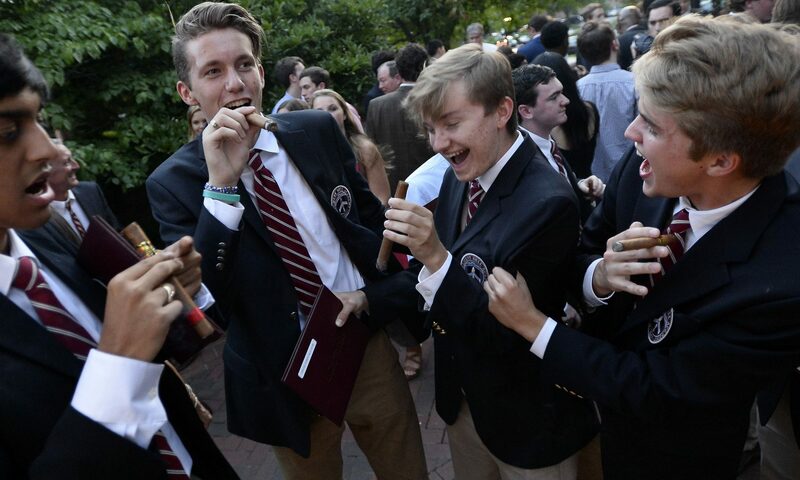 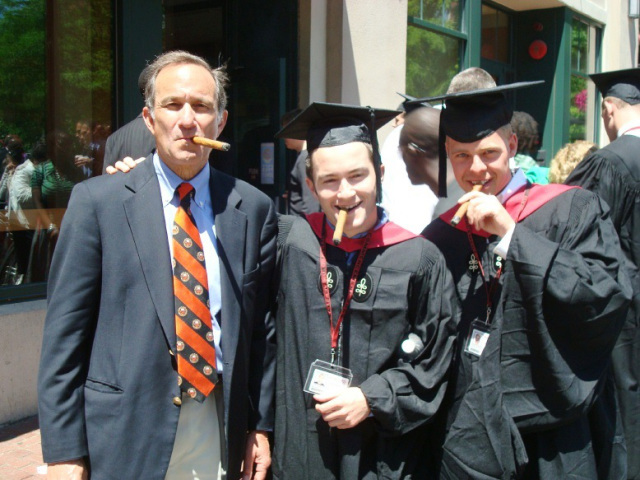 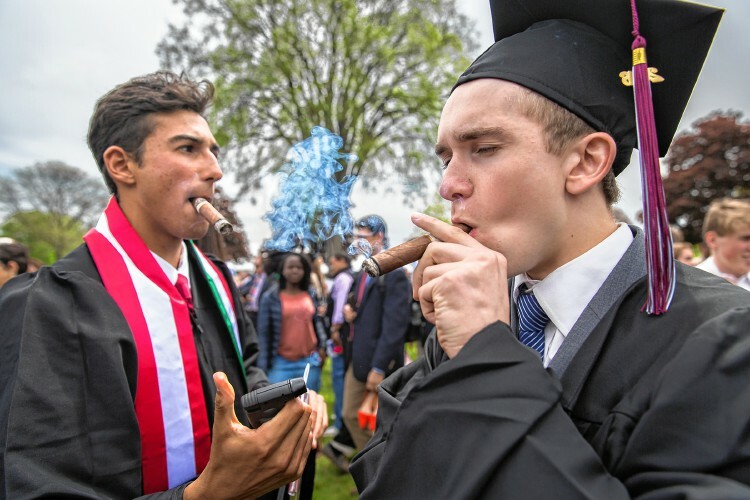 Estevan Velez lights a cigar for Thaddeus Niemiec following their Northfield Mount Hermon class of 2016 commencement ceremony Sunday, May 22. 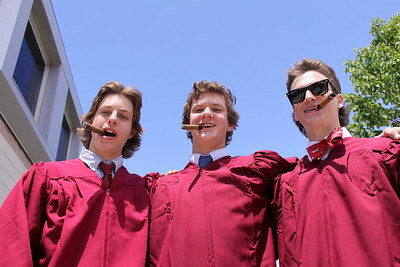 RYAN HUTTON/ Staff photo. 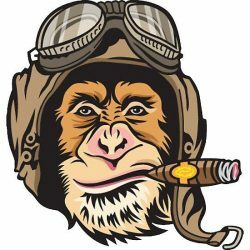 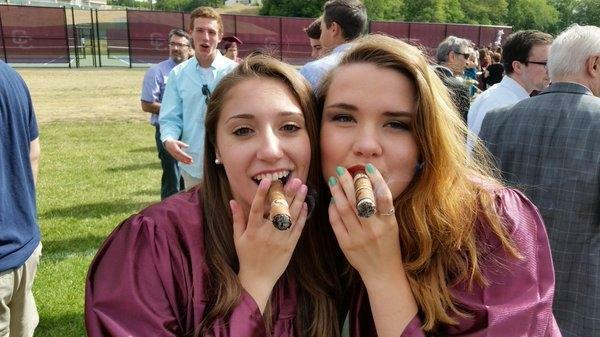 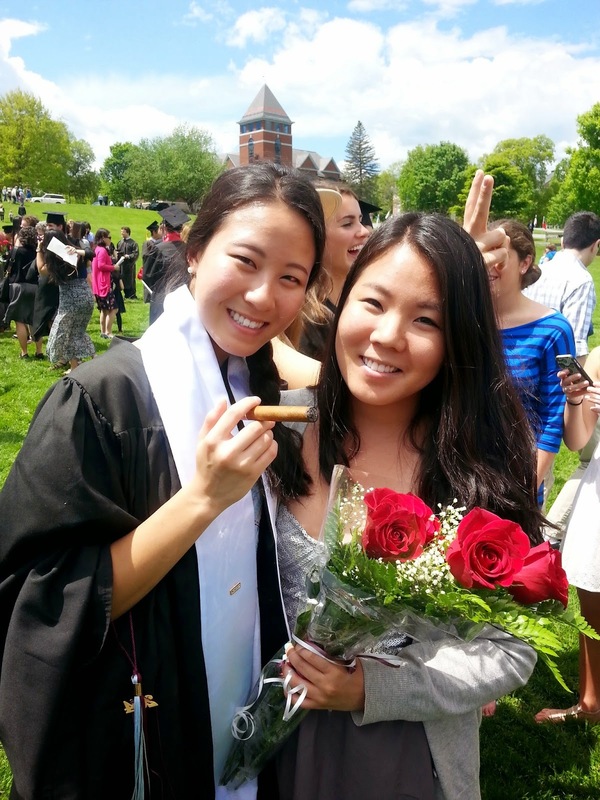 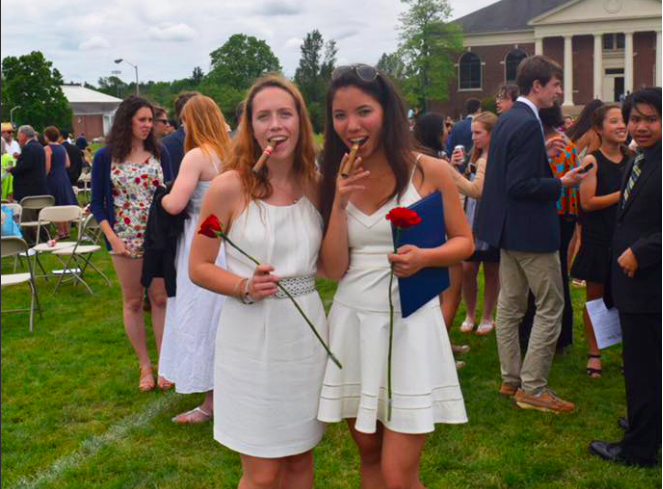 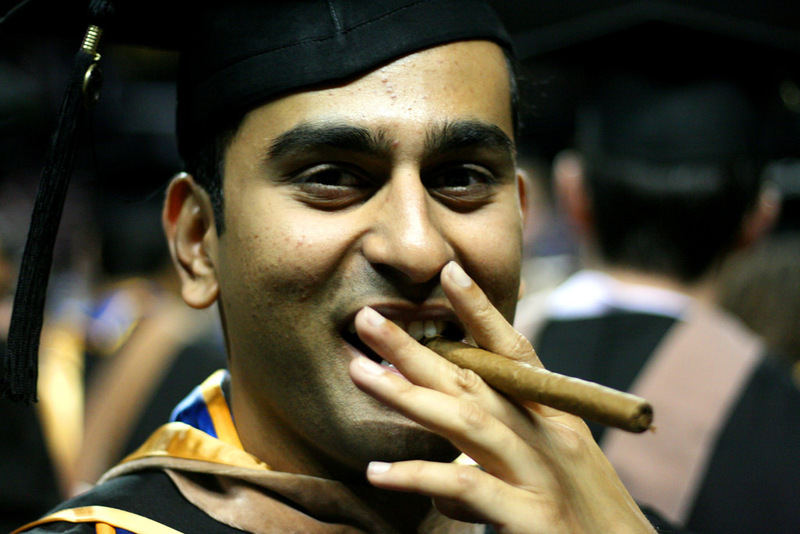 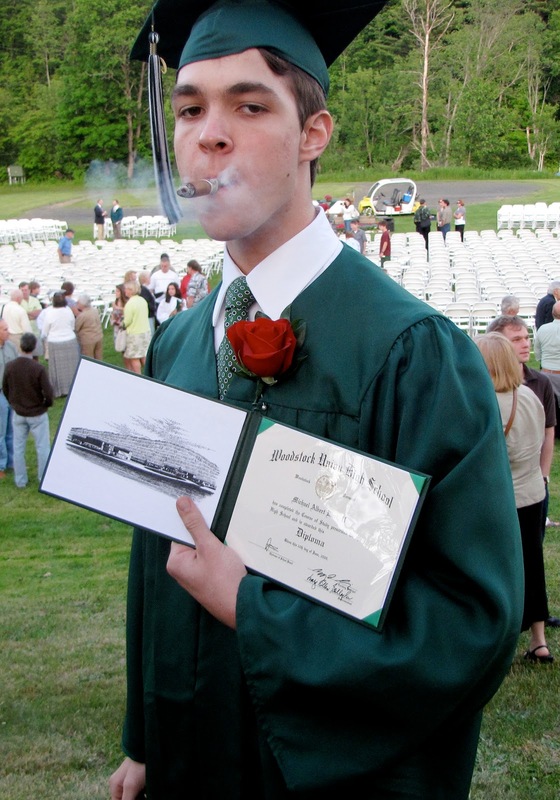 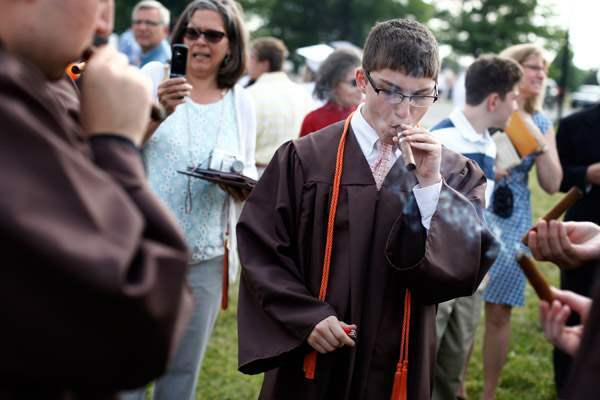 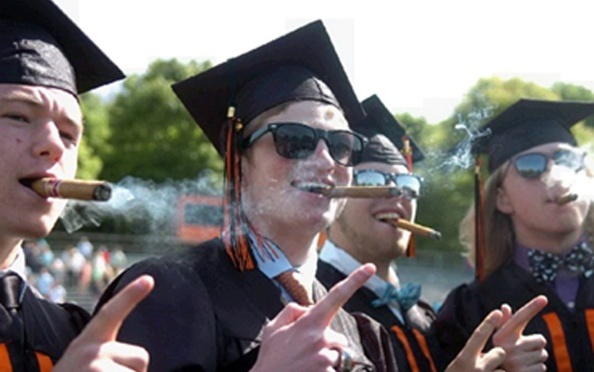 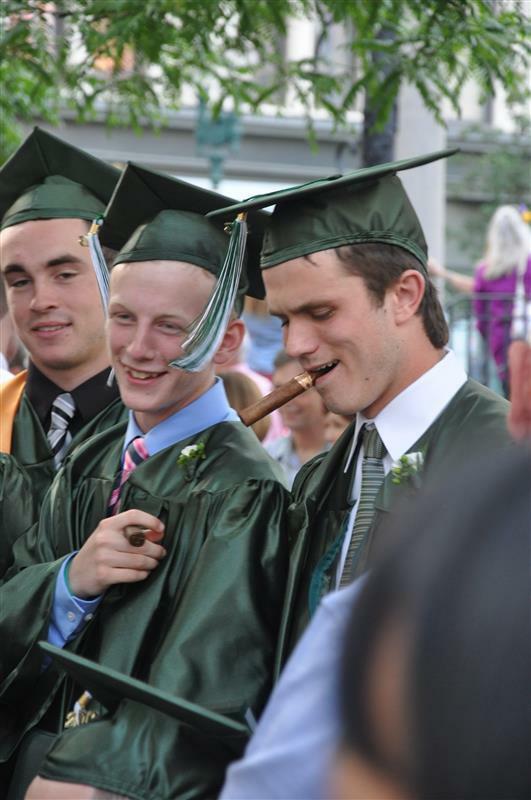 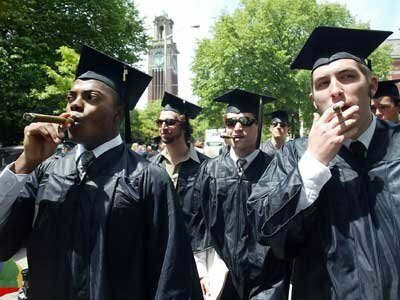 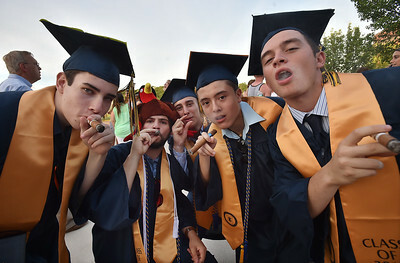 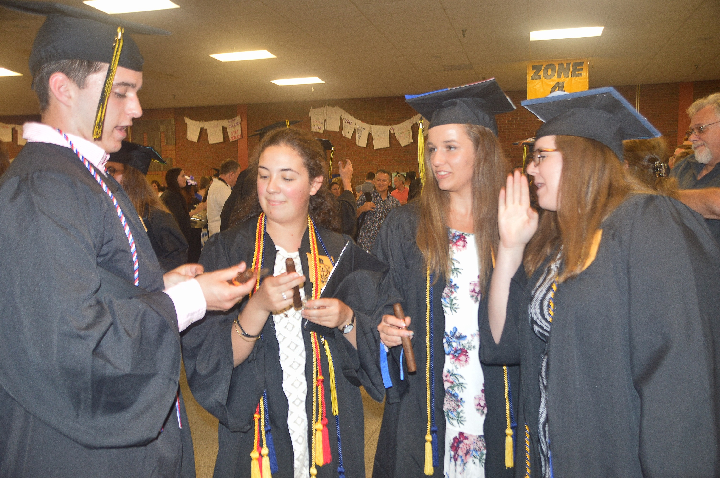 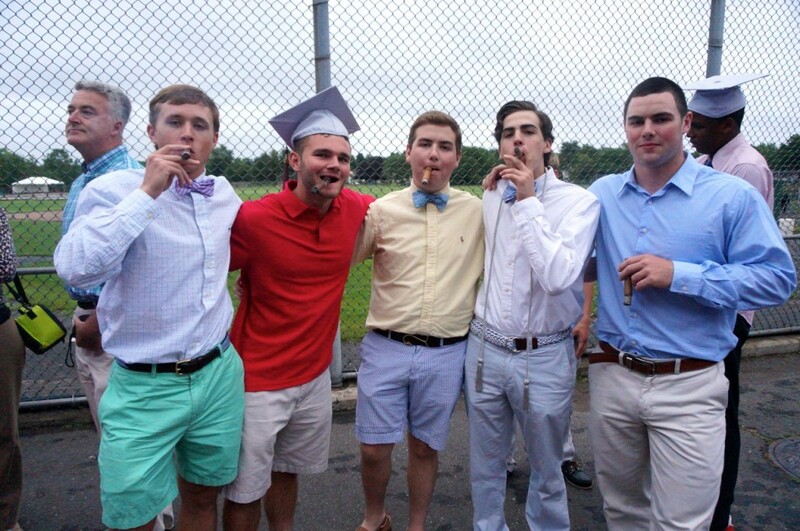 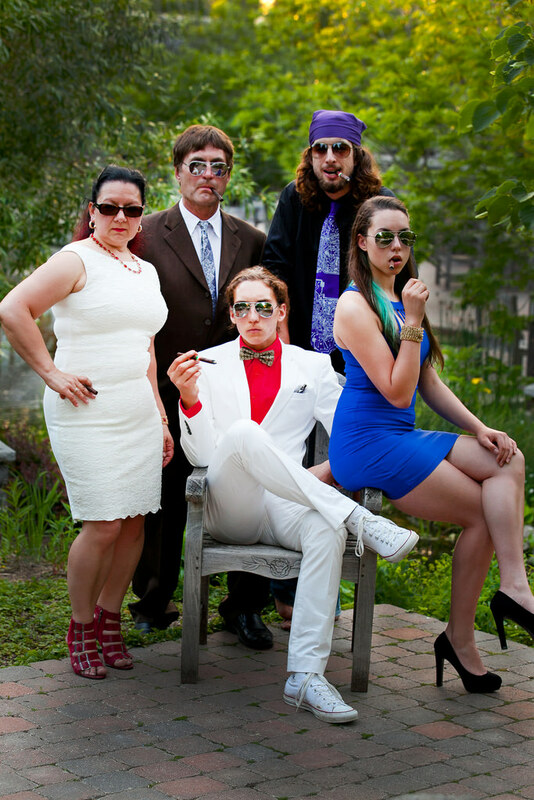 Recently awarded Andover High alum Jack Wilkie lights a cigar to celebrate with friends after the graduation ceremony at the UMass Lowell Tsongas Arena.